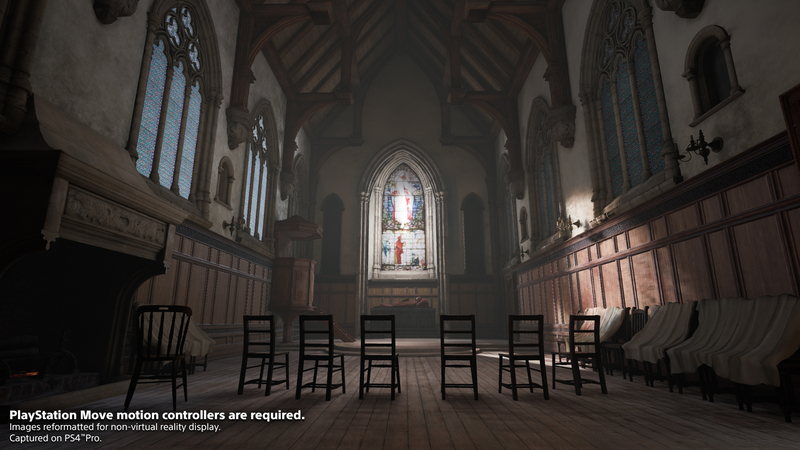 Déraciné is a very different kind of game for veteran developer From Software. Globally known for their work on the Dark Souls and Bloodborne series, the Japanese studio not only opted to create their next work in a completely different genre, but to partner up with their long-term chums Sony to make it a PSVR exclusive. In many ways the developer’s history of creating immersive worlds and vague but stimulating writing, layered with beautiful art direction and ambient scores are ever present in this new experiment. However the revolutionary and exhilarating game design that powered their last decade’s labors seem to be absent given the restrictions of the genre and the primitive VR implementation. In Déraciné, you won’t be hesitantly creeping through hallways hoping you don’t perish for the umpteenth time thanks to a random flaming barrel or a seemingly innocuous statue that’s actually a demon possessing a statue. In fact you can’t die at all in Déraciné, providing a jarring yet welcoming change of pace for those familiar with From Software’s catalogue. 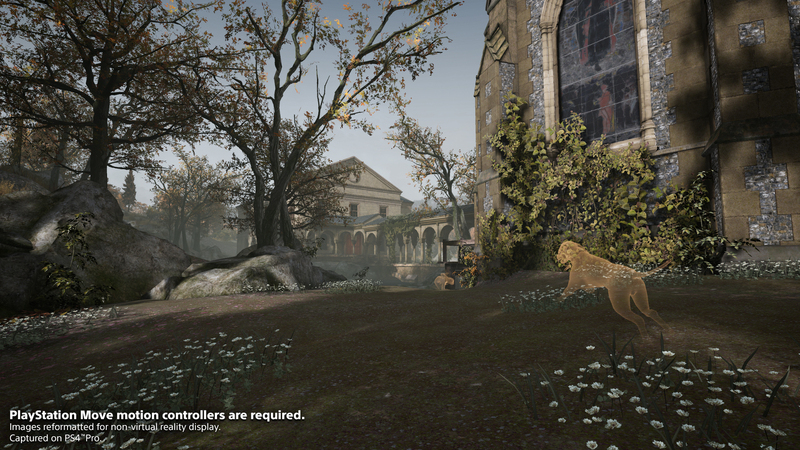 Déraciné plays like a point-and-click adventure game from the first person perspective. You play as an invisible faerie that inhabits a boarding school where time is frozen. As the faerie, you can explore each of the school’s meticulously designed halls, searching its nooks and crannies for items and clues to solve the game’s various puzzles. You can also interact with the students that board at the school. While they weren’t all incredibly interesting at first acquaintance, each has a unique personality and they slowly started to grow on me each time I bumped into them and found out a little more of their background and personality. Interestingly, it was the fantastic art design of the world and melodic score that immersed me in its world and not so much the VR integration. From Software does an outstanding job of transporting a player to a place that feels welcoming yet unsettling and Déraciné produces that effect throughout its world, music, story and characters. The hallways and school grounds look like they were ripped out of a fairytale, but not necessarily a children’s fairytale. While everything appears to be ordinary at the school, you can’t help but feel that there are larger powers at work here, which definitely gave me that familiar From Software vibe. Different parts of the school are closed off but unlocked at different chapters, allowing you to familiar yourself with its rooms. I appreciated that aspect and how smaller and more familiar level design gives the world a personality. As the game progressed, the school felt more real and alive to me than the actual characters did. The only time I felt like I was taken out of the world was when I was moving throughout the game. Déraciné only provides teleporting as a means of navigation. Your character teleports to different points and rooms across the school grounds. At each point, you are able to look around and use the PlayStation Move controllers (required to play this game) as hands to pick up and interact with objects in the environment. Having the option to teleport is understandable given the nature of VR, but not having a proper locomotion solution will be a deal breaker for some, especially because the rest of the VR execution isn’t anything to sing about. That’s not to say VR doesn’t add anything to the game. Without going too much into spoiler territory, the purpose of your character and the way the game is designed makes sense as a VR game, even if it isn’t a revolutionary idea within the genre. 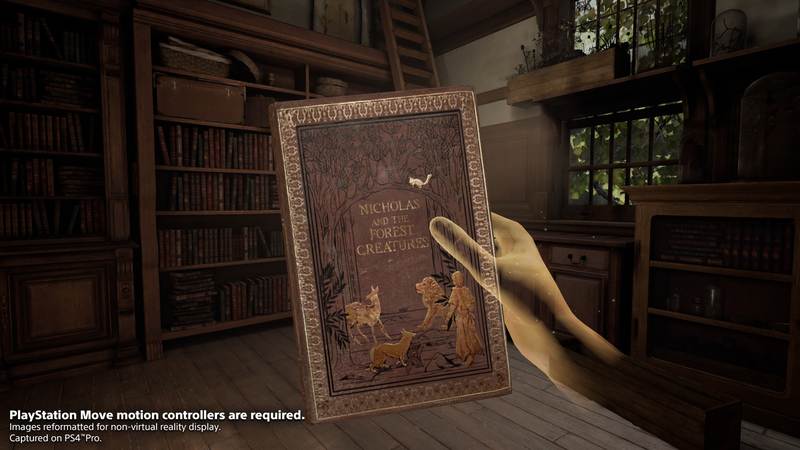 While Déraciné might be a great adventure game in its own right, PSVR isn’t exactly lacking other similar types of games. Furthermore, the puzzles and tasks you perform throughout aren’t too exhilarating. Sometimes they amount to basic fetch quests that have you backtracking and searching through rooms. The puzzles themselves aren’t particularly difficult and most can be solved by listening in on the character’s conversations. The story progression, characters and world do provide context to your objectives, but don’t always completely disguise the arbitrary nature of some of them. The story itself is intriguing enough in line with From Software’s resume. While vague at first, Déraciné decides to take a more direct approach to storytelling and does a pretty good job of it too. The game took me about five hours to complete and while I could have happily spent a little more time with the characters and the game’s more unique ideas and plot threads, I think five hours is plenty for this kind of adventure game. Doing fetch quests and solving environmental puzzles in VR for that long can sometimes feel like a nine-to-five shift, so I appreciate that this type of game is short and sweet. I appreciate what Déraciné is. In many ways the game is an experiment for Hidetaka Miyazaki and his team at From Software. It’s an experiment in a genre they haven’t touched in over a decade, with a more direct focus on storytelling over gameplay, in their first crack at virtual reality. It’s also evident that in all those areas, Déraciné offers interesting ideas but lacks execution. It’s only when supported by From Software’s secret sauce in world building, level design, art direction, musical score and deep storytelling hidden in vagueness that Déraciné feels like something of its own. However, take all of that away and you are left with a solid, if forgettable, adventure game.